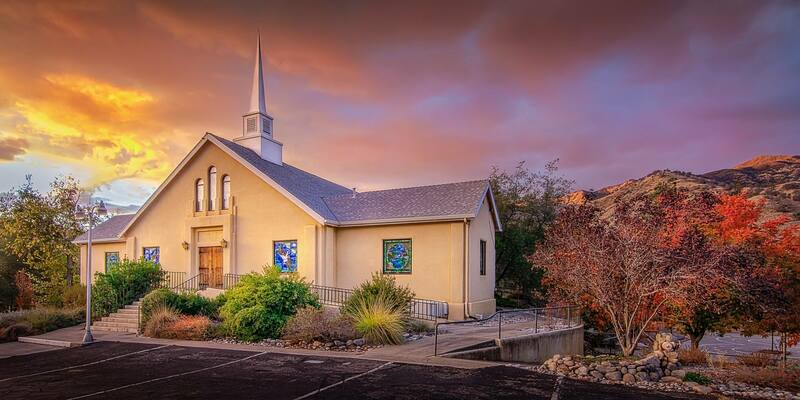 "Sharing, Celebrating & Living Christ's Love"
Founded in 1939, we are a small, friendly church in the community of Three Rivers, CA, (population approx. 2000) nestled in the foothills of the Sierra Nevada near the entrance to Sequoia National Park. We are a member church of the Presbytery of San Joaquin, the Synod of the Pacific, and of the Presbyterian Church (USA). The Rev. Marilyn Yoder Creel, M. Div. Marilyn has had the wonderful experience of growing up in California and Hawaii, and attending college in Illinois and France. She lived on the east coast for a while and spent a wonderful number of years in Colorado. Her primary ministry has been in hospital and hospice chaplaincy prior to receiving the call to pastor Three Rivers Community Church. She loves to read and travel. Marilyn has two adult children, a son-in-law, and three amazing grandchildren. She is married to Visalia Methodist minister Steve Creel. Marilyn was once a guest on the Crusader Rabbit Show. In 6th grade, she played Princess of Kaua’I in her school May Day Program. She spent the summer that she turned 16 working second shift on the sorting line in the Del Monte Pineapple Cannery. She was considered a ‘foreign student’ her freshman year at Rockford College in Rockford, IL because she came from Hawaii. Jackie joined our staff in March 2014 as Church Secretary. Jackie, her husband, Carl and his daughter Cheyenne live in Woodlake on the family farm. She enjoys reading and spending time with family, friends and her animals. You can find Jackie in the church office ready to greet you with a smile and help you in any way she can.